Your Soul or Authentic Self is the part of you that is divine, and it truly has all of the answers you could ever need. Once you are able to connect with this part of yourself, your life will be forever changed as it is the most direct connection to God/Source/Spirit/Universe etc. that one could ever have. Since everything is connected, realize that your Soul is an entity of deep knowing that forms part of a larger well of primal consciousness. Not only do I want you to create a direct and clear connection with your own Soul, but through that, you will be able establish a connection with the entire quantum field of ALL energy and consciousness that exists in all of the macro and microcosms of the megaverse. 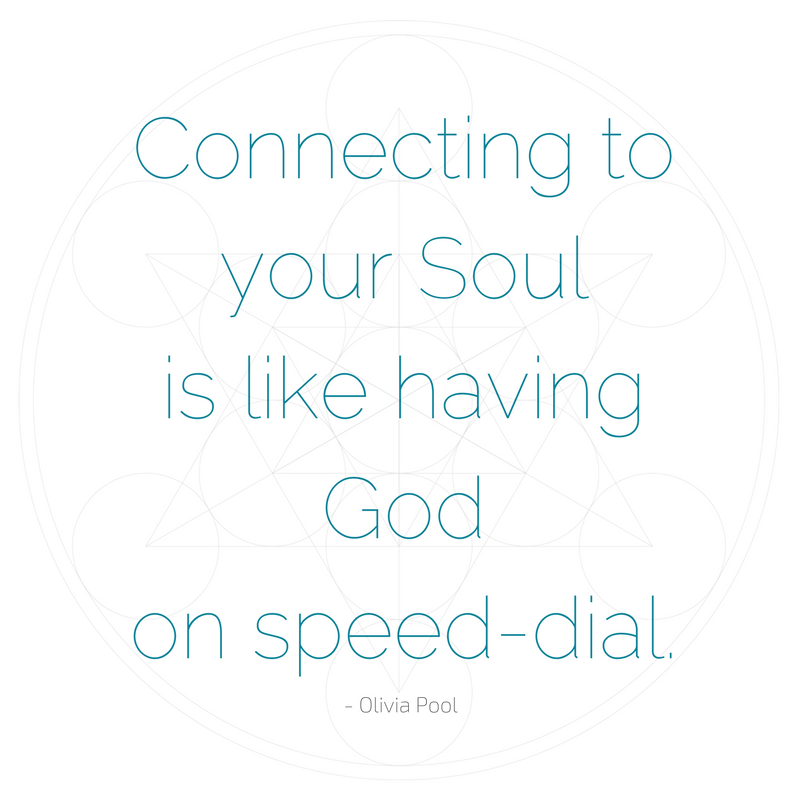 Once a strong connection is established (this can take minutes, or it can take lifetimes, by the way), you will always know the answers to your questions because all you will have to do is LISTEN to your Soul’s guidance. It is extremely important that you enter into this process with an open mind and heart. If you do not, it will most certainly not work. Set aside some time for yourself when no one else is present, and make sure that you will not be disturbed. Create a sacred space—an ambiance that feels special for you. This could mean simply that you’re alone and focused on your Self. It could also be more elaborate with pillows and incense, and some light music (make sure it does not have words). Do what feels in alignment for you. After all, this is about you and your Soul. Get quiet and comfortable. Sit in a comfortable meditation pose where you feel ‘rooted.’ Take at least 3 deep inhales and exhales. As you light a candle, ask to connect to your own Soul/Authentic Self. Now, it’s very important to be open-minded, receptive, and quiet. You asked to connect; now just wait patiently. (Some people are more apt to see things, others hear them, others feel them.) Usually, there will be a response, a message, a hello. Sometimes, the response is timid and barely visible or audible. Sometimes, it’s intense. Sometimes, you may not hear, see, or feel anything at all. If that happens, that’s okay. It’s important to not judge that, and just realize that you may have some blockages in this channel at the moment. Do not get discouraged. Thank your Soul and let it know that you will try again. If you do get a response of some sort, wonderful! Simply begin a dialogue with your Soul. Know that this is a place of non-judgement. After all, your Authentic Self knows you better than anyone else ever could so don’t be shy, self-conscious, or try to appear any other way than you are. The most important thing to do at this point is to be patient and L I S T E N. If you’ve asked to communicate with your Authentic Self in this way, show respect and reverence and allow yourself to receive whatever guidance it may have for you. Once you have mastered being able to connect with your own Soul or Authentic Self by creating a regular practice of this meditation, you can also connect to the Souls of others. Entertain for a moment the notion that your Soul is directly connected to the quantum field of all that is / God / the Universe. If your Soul is connected in this way, then everyone else’s is as well. This means that all the souls throughout all of space and time are connected in this quantum field. When you are able to successfully connect with your own Soul, it can connect with other souls in this quantum field. Yes, I’m suggesting that your Soul can communicate with someone else’s soul, whether they are alive or not. I want to be clear here and say that I’m talking about Soul to Soul connections, not ego to ego connections. Very often, the messages and the way of being of one’s Soul is quite different than their personality. You see, the Authentic Self is an entity that is pure love, consciousness, and creativity. It doesn’t possess all the baggage that you’ve acquired as a human being. It is simply the pure essence of your true Self. And it’s the same for the other person’s Soul or Authentic Self. When you are communicating on a Soul to Soul level like this, you are asking to connect to the most pure, divine essence that that person originated from. First, follow the above instructions to create your own connection with your Authentic Self. You can only proceed with the Soul to Soul connection if you are able to connect clearly with your own Soul first. Once you are connected to your own Soul, and that connection is solid. Ask your Soul to reach out to _________’s Soul. Again, follow the same prompts as above. Be open, receptive, patient, and L I S T E N. People are often surprised at the deeply loving nature of these conversations, but this makes total sense. Remember, your Authentic Self—the most pure form of Love with you—is connecting with the most pure form of Love in the person you are reaching out to. Allow this to be a truly beautiful and healing experience.